Top L-R: Sam Critchlow, Martin Aspley. Bottom L-R: Stacey Tebbett, Ella Ferrer. Commenting on the new appointments, Sam Pella, Director said, “We are a family business and very committed to helping create employment opportunities for our local area. This ethos fits in with our company values of giving something back to the community. Prior to joining Pellacraft, Stacey worked for Nationwide Building Society in a customer service role. 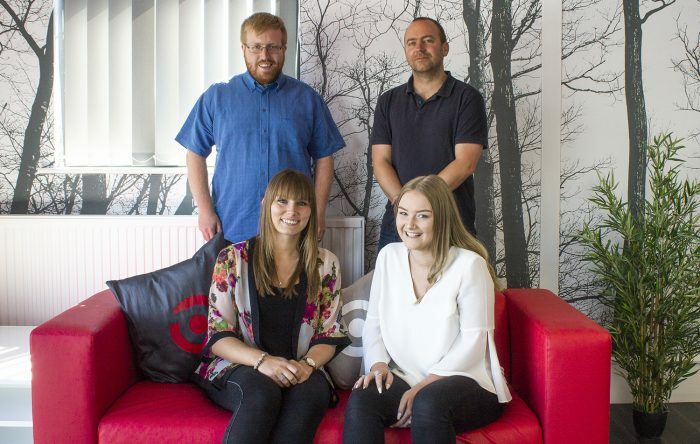 Martin managed the photo archives for EMPICS Sports Photo Agency and The Press Association, and Sam, who is a certified Google Partner has five-years’ experience in diverse marketing roles working across a range of industries and sectors. As an apprentice, Ella has joined from The Joseph Whitaker School, but having worked at part time waitressing and at ToysRus, preferred to gain practical workplace experience rather than stay at school in sixth form.